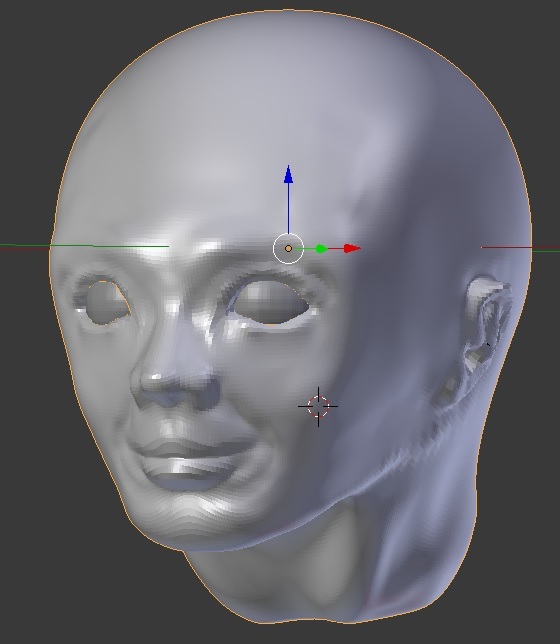 Comments Off on Blender heads. Blendeads. To do anything useful in Unity you need a 3-D modeling program. And XSI Softimage, which I had kinda learned, is defunct. So I downloaded Blender, and tried out some stuff, and was all WUT. For some reason 3-D modellling is really complex and non-intuitive. But I read a bunch of manual pages and decided to play with the Sculpt feature. Here are my first two horrible attempts at a head. 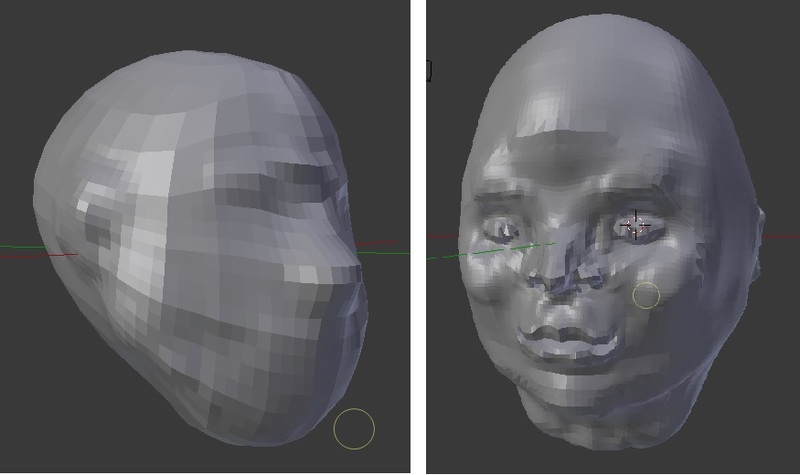 I wasn’t sure how to subdivide the meshes right… the one on the right has over 32,000 polygons, and yet the mesh is all screwed up, because I figured I’d add detail in the areas where I needed it, and it turns out that’s a bad idea. At this point it turns out that to make it better I would have to learn more anatomy. I’ve drawn a lot of faces, but in drawing you can omit an awful lot of fine details that turn out to be important in sculpting… details of the brow structure, for instance, or what the neck muscles look like from the back. The video has a lot of info on how to use the Sculpt tools, but the best advice turned out to be to start with a fairly lo-res mesh and get it as close as possible before adding detail. Also, the grease pencil is really good for drawing in a profile, eye locations etc., so you get the proportions right. Anyway, I’d like to learn how to do texturing now. And hair.